The prospect of hosting a dinner party puts some people off for a number of reasons, mostly due to costs and preparation. However, don’t let tightening your purse strings around the holiday season get in the way of having a good time with family and friends. 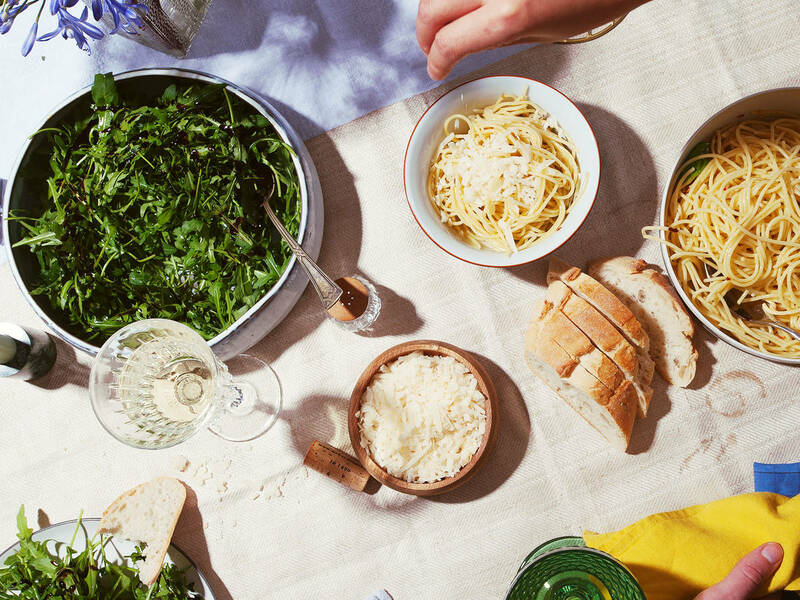 By sticking to these four guidelines, you can be sure to throw a great dinner party that will be remembered for years, without the need to break the bank! The simple solution to your decoration woes is closer than you think – at home. The main thing to bear in mind is being inventive; use sprigs of rosemary as napkin ties, mismatched plates and dishes for a kitschy vibe, and light multiple candles from around the house to boost the overall ambience of the dining room. Your guests will never know you didn’t go out and purchase new tableware just for them! Vegetables are the underrated heroes of the dinner party world; there’s a plethora of flavorful recipes you can make with minimal effort and costs required. Instead of forking out for prime cuts of beef to impress your guests, rock the boat and opt for a pasta dish instead. Serve our hearty orecchiette with rapini with some homemade focaccia and a side of red wine and Italian music for a night to remember. We may not put much thought into it, but drinks make up the majority of dining costs. Make things easier for you and your wallet and opt for a big-batch cocktail or punch that you can serve all night. You’ll also save time by not running back and forth to the kitchen all night taking drink orders. Spice things up with a punchbowl of Moscow Mule—the ginger ale is low-cost but incredibly delicious with vodka or gin and a squeeze of lime juice! In theory, it would be perfect if you could spend hours in the kitchen preparing delicate macaroons and intricate cakes, but sometimes real life gets in the way. Keep the costs down with our easy molten chocolate cakes—sprinkle with confectioners’ sugar and serve with ice cream and fresh berries to up the wow factor.